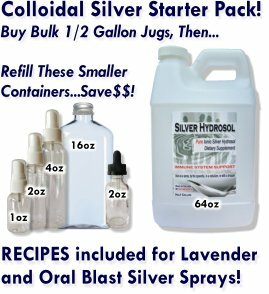 I've heard of colloidal silver but am not very familiar with it. I've looked at your site (it's easy to navigate) and will spend some more time there to learn more. We're up against a rare auto-immune disease (me) and MRSA (eldest son). He's having recurrent infections that we can't stop. We did try the onion/sugar poultice on a weekend when the only medical care available was the ER (not happening) and it opened it up, drained it and stopped the streak up his arm, but he still ended up on antibiotics. His recent blood work showed that it had colonized, which is not good news. If this would help, I'd surely like to try it. On an aside - I print articles that inspire or teach me something and put them in my day binder to remind myself that life is not all bad (on the days it seems so). So far, I've found two of your posts that were very inspirational/healing to me. Thank you.